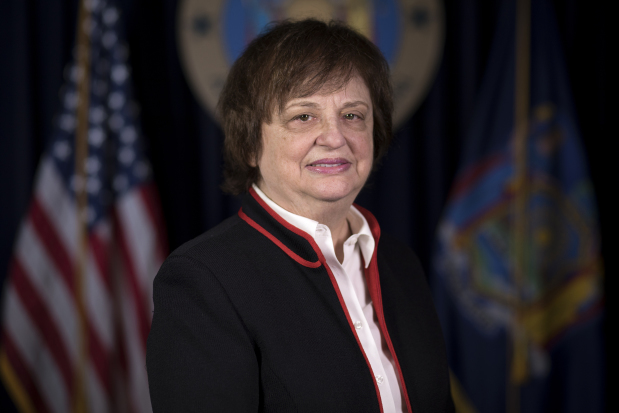 NEW YORK, N.Y. -- New York Attorney General Barbara D. Underwood—leading a coalition of 17 Attorneys General—filed comments urging the Securities & Exchange Commission ("SEC") to strengthen its proposed Regulation Best Interest (the "Proposed Rule") in order to ensure that broker-dealers put their customers' best interest first. In their comments, the Attorneys General highlighted the weaknesses in the Proposed Rule and the need for more robust investor protection. The SEC's Proposed Rule purports to impose a "best interest" standard on broker-dealers while requiring additional disclosures; however, the Proposed Rule fails to require broker-dealers to act as fiduciaries for their clients, as is required of investment advisers—meaning retail investors are not assured unbiased advice from all their financial professionals. In addition, the Proposed Rule fails to ban even the most egregious of broker-dealer conflicts, like sales contests, which elevate the broker-dealer's financial interest above that of the customer. The Proposed Rule also leaves key terms undefined, creating ambiguity that risks confusion for regulators, investors, and the securities industry. "Retail investors depend on financial professionals to help them navigate an increasingly complex financial marketplace," said Attorney General Underwood. "They expect and deserve the broker-dealer relationship to be one of trust, loyalty, and care. It's critical that this rule be strengthened to ensure that investors' wellbeing is the top priority." The comments were led by Attorney General Underwood and filed by the Attorneys General of New York, California, Connecticut, Delaware, Hawaii, Illinois, Maine, Maryland, Massachusetts, Minnesota, New Mexico, Oregon, Pennsylvania, Rhode Island, Vermont, Washington and the District of Columbia. As the Attorneys General argue, the Proposed Rule is an inadequate attempt to address a long-recognized deficiency in regulation of broker-dealers. In the wake of the 2008 financial crisis, as part of the sweeping Dodd-Frank Act of 2010, Congress directed the SEC to study the effectiveness of existing regulations concerning the standards of care owed to retail investors. In 2011, the SEC study recommended a uniform fiduciary rule governing both broker-dealers and investment advisers. In 2016, with no action by the SEC, the Department of Labor adopted its own rule imposing a fiduciary duty on broker-dealers managing ERISA plans. That rule has since been overturned—with the Trump administration declining to further defend it—making independent SEC action all the more critical. Yet, the SEC's Proposed Rule is inconsistent with its own study and the Congressional mandate to enhance protection for retail investors. The coalition of Attorneys General press for the Proposed Rule to be strengthened by: (1) imposing a uniform fiduciary standard on broker-dealers and investment advisers; (2) eliminating the most pernicious of conflicts; (3) enhancing disclosure requirements; and (4) clearly defining all key terms. These enhancements would ensure that retail investors are not subject to abusive and conflicted behavior. They also would promote more effective enforcement by regulators, the development of healthy broker-dealer compliance programs, and greater understanding by investors of the obligations owed to them by their financial professionals. The New York Attorney General has long been a leading voice in investor protection, and works closely with its state and federal counterparts. The office, through its Investor Protection Bureau, seeks to protect everyday investors and ensure the integrity of our markets through advocacy, investor education, and the enforcement of New York's securities law, the Martin Act.